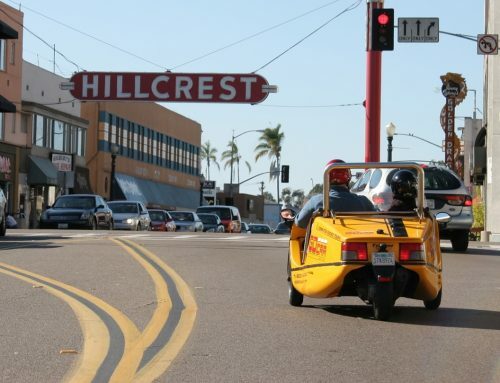 San Diego is famous for its beautiful, mild weather and year-around beach conditions. The summers are glorious but one of the most beautiful times of year in our evergreen city is the fall: clear, blue-sky days, lovely sea breezes and still-warm soil conditions mean flourishing gardens both edible and decorative. Here are some of the unique local garden and greenery experiences you can enjoy here all year round but particularly from now through the end of the year. One of San Diego’s most unique and funloving garden experiences is situated in the front yard of a private home! 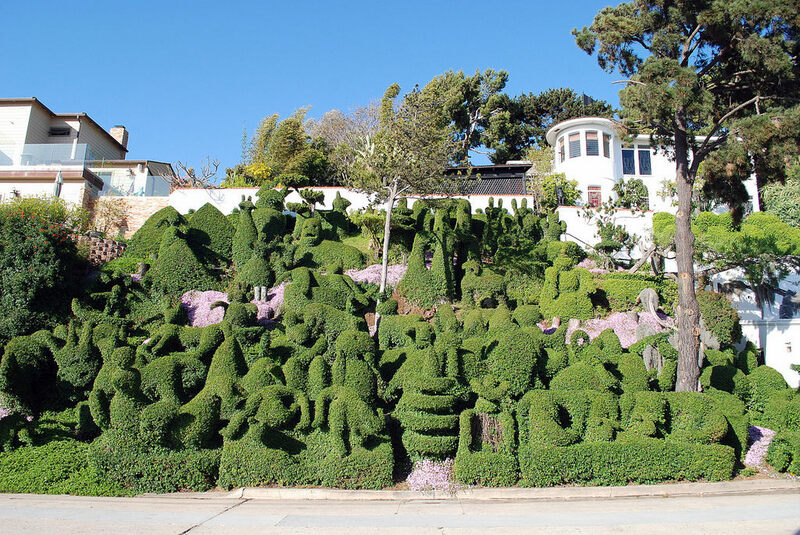 For the last 15 years Edna Harper has been shaping and maintaining an incredible collection of detailed topiary in the quiet neighborhood of South Mission Hills. You’re welcome to gaze but please be respectful and observant of posted signs. One of California’s finest examples of the Arts and Crafts movement, the Marston House was constructed in 1905 for George W. Marston and his wife, Anna Gunn Marston. The property was designed and built by the internationally renowned architects William Sterling Hebbard and Irving Gill. Surrounded by five acres of rolling lawns, manicured formal gardens, and rustic canyon gardens, exploring the grounds will yield formal gardens and canyon pathways in the shade of towering pine, eucalyptus and oak trees. Designed as a nudist colony during the 1935 California-Pacific Exposition, the Zoro garden is a tiny and unique butterfly garden located within Balboa Park which contains both the larvae and nectar plants needed for the complete life cycle of butterflies. Miniature indentations built into rocks collect small pools of water for the monarch, sulfur, and swallowtail butterflies that can be seen among the colorful perennials and majestic ficus trees that surround the garden. Monarch, sulfur, skipper, and swallowtail butterflies feast on butterfly bush, blanket flower, Verbena and Lantana. Larvae plants include milkweed, foxglove, sunflower, monkey flower, and California Lilac. Make a day of your visit by then heading to the Japanese Friendship Garden, a walk of just a few hundred yards. Another unique and self-contained specialty garden within Balboa Park is the Japanese Friendship Garden, a lush oasis that will make you feel as if you’ve left San Diego for Japan. Sitting on 12-acres in the heart of San Diego, the Friendship Garden offers a variety of educational programs, exhibits, and festivals as well as accredited horticultural classes to enhance and deepen visitor appreciation for Japanese culture. As a valued community resource, it is well known for its unique setting, stone arrangements, koi ponds, water features, sukiya-style buildings and landscape. Mission Hills Nursery, San Diego’s oldest garden center, was founded in 1910 by the legendary Kate O. Sessions. Still located at the corner of Fort Stockton Drive and Palmetto Way, you can easily lose yourself in the paths bordered by roses, landscape shrubs, trees, vegetable starts, and flowers galore. Founded by San Diego native Bill Tall in 1972, City Farmers Nursery is a family-owned, independently operated, garden center and nursery located on 2 naturally maintained acres in the heart of San Diego. Part working-farm, you’ll visit with animals, and see bonsai, rose, and California natives. City Farmers is as much a working farm and haberdashery as it is nursery. There’s antiques, dirt, mud, and fun to be had around every corner. Sited on nearly 6 acres, the Water Conservation Garden showcases water conservation through a series of beautiful themed gardens, including a native plant garden and a vegetable garden, as well as how-to displays such as mulch and irrigation exhibits. The Garden features a native butterfly pavilion that is open spring and summer each year, a pond and resident tortoises. While San Diego Botanic Garden is actually north of downtown by about 30 minutes, it is well worth the drive. It sits on 37 acres of land and includes everything from rare bamboo groves, to desert gardens, a tropical rainforest, California native plants, Mediterranean climate landscapes, and a subtropical fruit garden. There are classes for creating your own garden, bird-watching and even a 60-foot waterfall. There is so much to be explored inside these gardens you’ll want to keep coming back so that you can experience everything.